Watches come in all shapes and sizes. 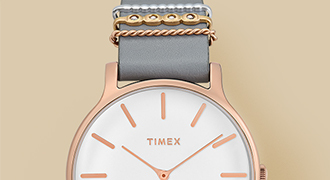 From oversized to petite, you’ll have no trouble finding a watch size that suits your style. 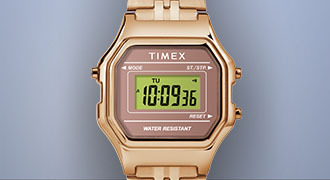 However, you will want a balanced and proportional timepiece that feels and looks right. Here are some tips for finding the right watch for your wrist size. The first thing you should do is measure your wrist. 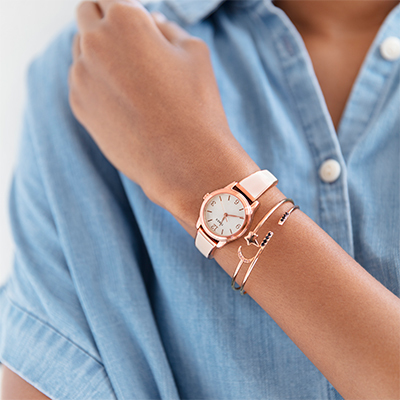 Knowing your wrist size will be helpful in selecting a watch that feels comfortable and will also help when shopping online so you can choose a style that will fit without having to try it on. You can easily measure your wrist by using a tape measure and wrapping it around your wrist. When selecting a watch, there are several things to consider: the case diameter, watch band material and the watch details. 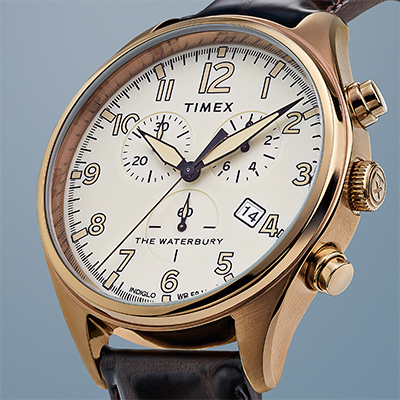 The case diameter will important in choosing the right watch for your wrist size. 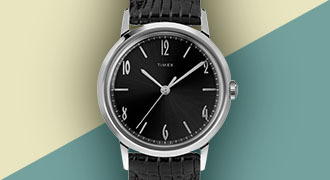 While there is not a set rule for men’s or women’s watches, it is best to match the case diameter with your wrist size. If you have a large wrist, case diameters ranging between 38mm to 46mm will look best. 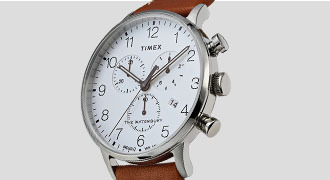 If you have a thin wrist, look for watches with case diameters between 34mm to 22mm. Watch band materials will also impact how a watch looks on your wrist. Stainless steel bands appear heavier and thicker than leather or fabric straps so if you have a thin wrist, you may want to consider a less heavy material. Leather, fabric and silicone are great materials for medium to thin wrists but also look good on large wrists. 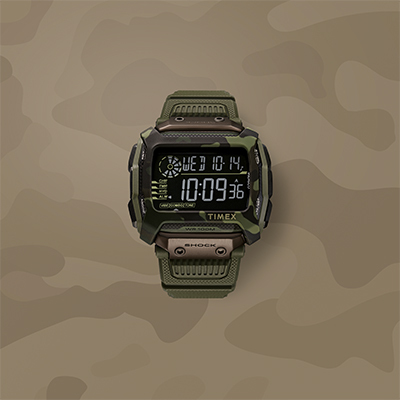 Another detail to pay attention to are the unique details of a watch. Markers, hands, subdials and crowns vary in size on watches. The larger these elements and extra details can affect how large a watch appears to be. For larger wrists, large dial elements won’t appear out of place but if you have a medium or thin wrist it is best to stick to minimal features that won’t make the watch look too complicated and distracted.